I’m having a hard time keeping up with all of the gluten-free options in Milwaukee. Can hardly believe I’m saying that, but it’s true. My “Dining Out” list gets new additions on a regular basis (I wait to list them here until I’ve tried them out myself.) and there are emails, texts and Facebook updates of more gluten-free options popping up in Milwaukee all the time. Plenty of Milwaukee food friends had been talking up The Rumpus Room, so it was time to get in there and see what all the chatter was about. 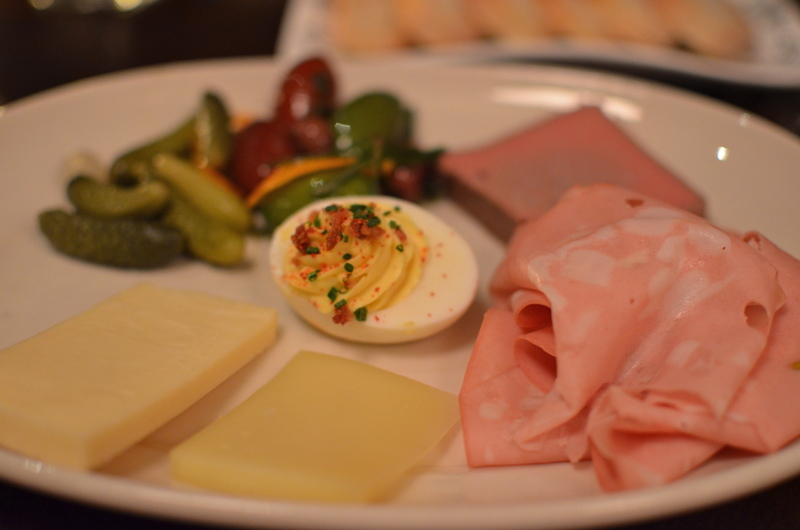 The Rumpus Room opened in 2011, a European-inspired gastropub, part of the Bartolotta group. (I’ve always had good gluten-free luck with their restaurants.) The decor alone is reason enough for a visit — each piece fits perfectly and was the talk of our table. 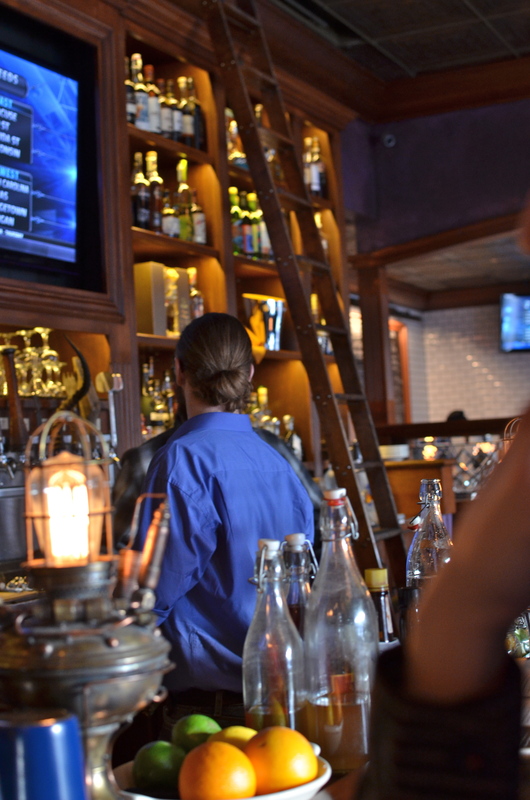 The bar area welcomes you when you arrive, with a trendy atmosphere and choice of a high top table or the bar — our bartender, Micah was outstanding. Their list of beers and cocktails was impressive, and while I stayed with a tried-and-true hard cider, my husband and our friends took advantage of the unique cocktails they had to offer. Any time there is a new cider, I feel obligated to check it out. (Yes, even if it’s not Crispin.) This one was refreshing and not too sweet, I would order it again. We started things off with an appetizer that was easily adapted to gluten-free — no major changes, they just put the crackers and breads on a separate plate. Our sever was on the ball and assumed there would be no problem with this appetizer, but made a trip to the kitchen to double check. And he used none of that “I’m sure it’s fine” or “You should be okay with that” business. 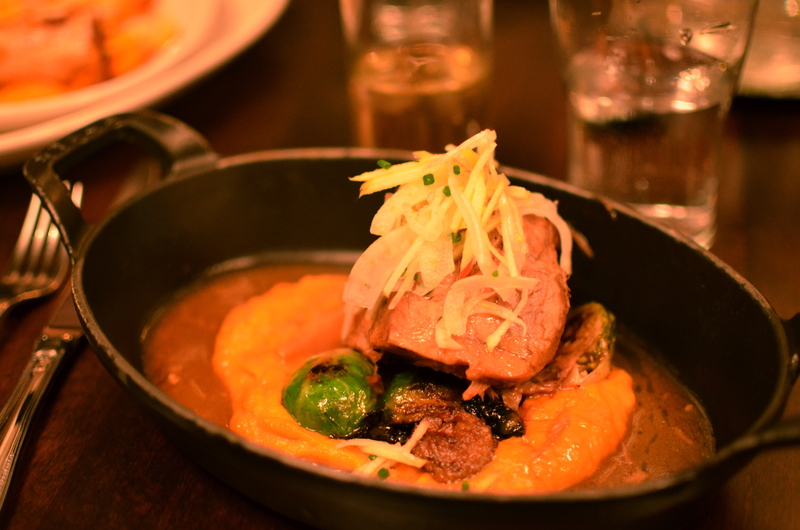 The meat just fell apart, it was that tender — big fan of braised anything, especially pork. My gluten-eating tablemates were just as happy with their selections of Pork Schnitzel, and Strauss Veal Meatloaf. To be honest, I think anything you order from The Rumpus Room would be a win. You can see their whole menu here. Have you ventured out to The Rumpus Room yet? Or do you have other places I just have to check out for my “Dining Out” list? 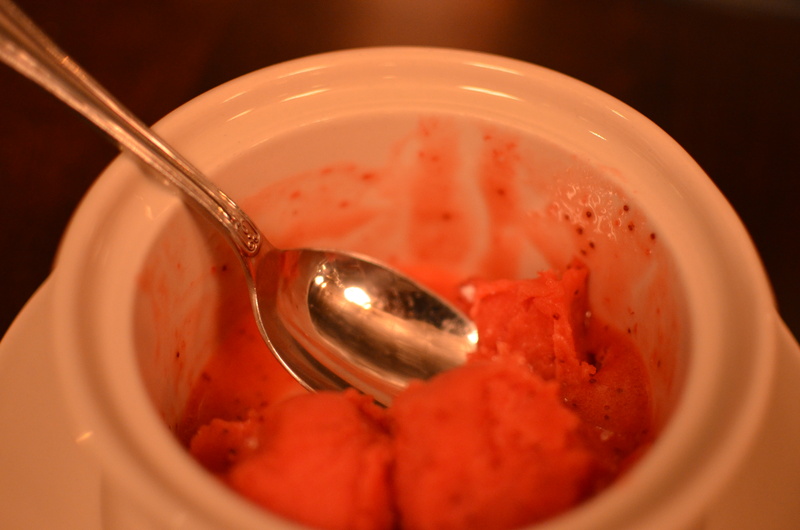 Posted on May 9, 2012 by Sarah @ Celiac in the City •	This entry was posted in RESTAURANT REVIEWS, What's up in the city? 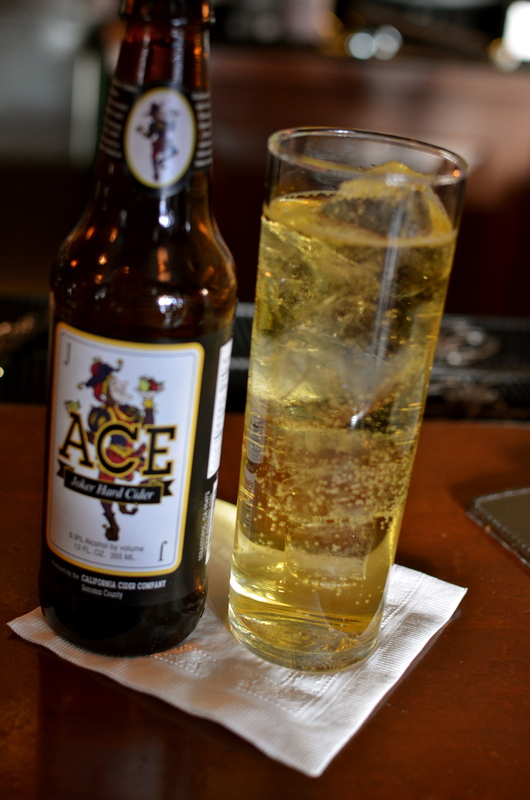 and tagged Ace Cider, Crispin Cider gluten-free, Dining Out gluten free in Milwaukee, gluten free in Milwaukee, The Rumpus Room Milwaukee gluten free options, wi. Bookmark the permalink. How fun is that place?! I need to get me to Milwaukee! Yes! Field trip to MKE for a GF Get Together perhaps? I have not been there, but now I sure want too.